Over the past several years, ANP has been reporting upon numerous massive military drills being held across America in what some believed was preparation for either a forthcoming economic calamity, massive civil unrest or a war breaking out upon US soil. Highlighted by events such as Jade Helm 15 and Operation Raider Focus, as we hear in the first video below and read in this story from Providence Daily Dose, brand new live-ammo war games are now being planned for up and down the entire East coast for 2018. As we learn, the planning for “Atlantic Fleet Training And Testing Phase III” has been ongoing for several years, well before President Trump came into office, and we learn here the drills will be taking place over 2.6 million square miles of land and sea along the US East coast and the Gulf of Mexico. 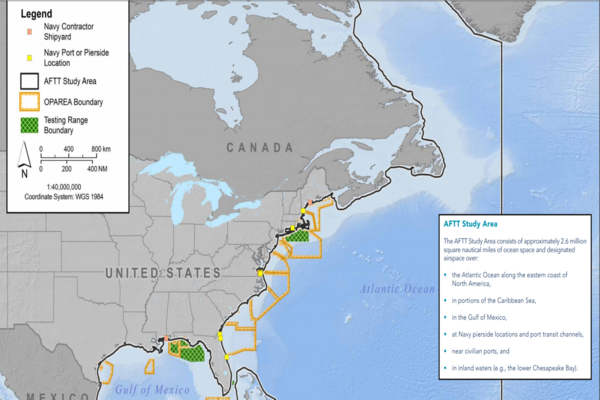 Stretching from Canada to Mexico, as we see in the map screenshot below from the AFTT’s own website, many questions are being asked about what these ‘drills’ might really be for. As we see and explore below, theories range from a search for North Korean submarines to searching for hidden nuclear weapons that might have been seeded into the shoreline near America to this being part of an elaborate ‘false flag’ plan by ‘enemies of America within’ to take our nation down. As we previously reported on ANP as was also reported in this story on Zero Hedge, Russian military expert Viktor Baranetz, a retired colonel and former defense ministry spokesman, had allegedly warned President Trump back in March of 2017: “We’re Seeding The US Shoreline With Nuclear Mole Missiles”. Reportedly capable of igniting a ‘nuclear tsunami’ that could wipe out US cities within seconds, we’ll forgive you for thinking that such a statement sounds like ‘fake news’. As we also hear, these will be ‘live drills’ and the Navy plans on firing missiles, rockets, lasers, grenades and torpedoes while detonating mines and ‘explosive buoys‘ while using many different kinds of sonar in a series of live war exercises in inland and offshore waters along the East Coast, including various ports of entry. As we hear from Dahboo in that first video, such exercises fit in perfectly with what we’ve been witnessing and reporting upon across America for the past several years. We also hear about a period of public hearings and public commenting upcoming at several different locations with public comments also accepted via online submissions. Also telling us about 2+ years of environmental studies that have already been undertaken, as we hear, some sea life will become victims of these live war games though none will be specifically targeted. It has been previously been reported that the US Navy was banned from using sonar that harms various marine mammals, including dolphins and walruses. In New England, the areas where the weapons and sonar may be deployed encompass the entire coastline, as well as Navy pier-side locations, port transit channels, civilian ports, bays, harbors, airports and inland waterways. An environmental impact study of the war games was released June 30. Public comment is open until Aug. 29. A public hearing is scheduled for July 19 from 4-8 p.m. at Hotel Providence. Comments can be submitted online and in writing, or through a voice recorder at the hearing. The dates and exact locations of the live weapon and sonar exercises haven’t yet been released. In all, 2.6 million square miles of land and sea along the Atlantic Coast and Gulf of Mexico will be part of the aerial and underwater weapons firing. While the obviously liberal blog “Progressive Charlestown” reports “maybe this is Trump’s payback to the Northeast for the 2015 ‘Jade Helm’ conspiracy that was supposed to be President Obama’s plan to invade and take over Texas and the Southwest”, we find it very interesting that these drills will be being held after reports of Russian or North Korean submarines were rumored to be spotted off of the coast of America. Though admittedly, these drills have been ‘in the works’ for several years, dating back to a time when ‘Barack Obama and the globalists’ were running America which lend more ammunition to the theory that a false flag is possibly in the works. .
As we’re asked in the first video, can you ever remember a drill this big taking place along the East coast or, for that matter, anywhere along the coasts of America? Telling us that these drills indicate to him that “big time, things are in motion”, we also learn that these ‘drills’ will probably roll out in 2018 though no specific dates have been given. Have ‘mole nukes’ been seeded into the ocean floor, just waiting to be activated, as heard in the 2nd video below? In an “Onion-sounding” article in Russian tabloid Komsomolskaya Pravda, titled “Trump-Pump-Pump And Our Big Bang”, Russian military expert Viktor Baranetz, a retired colonel and former defense ministry spokesman asserted that Russia has asymmetrical responses to the increase in the U.S. military budget. 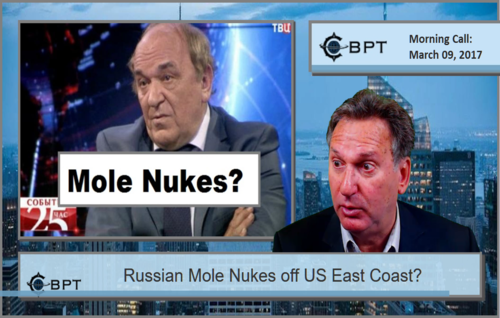 The Middle East Media Research Institute reports that, according to Baranetz, Russia is “quietly ‘seeding’ the U.S. shoreline with nuclear ‘mole’ missiles” that “dig themselves in and ‘sleep’ until they are given the command” to detonate. While this August of 2009 story from Space War reported that according to the Pentagon then, Russian subs near the US East coast posed no threat since they were operating in international waters, deteriorating relationships between the US and Russia on Barack Obama’s watch showed our world became much more dangerous during his tenure in office. Exemplified by Putin warning of war to US General Mark Milley claiming ‘we are at endgame now’, we hope that the tensions of the past will be able to be overcome with President Trump now in office. However, as ABC News reported earlier in 2017, Russian spyships had again returned to the East Coast of the USA. 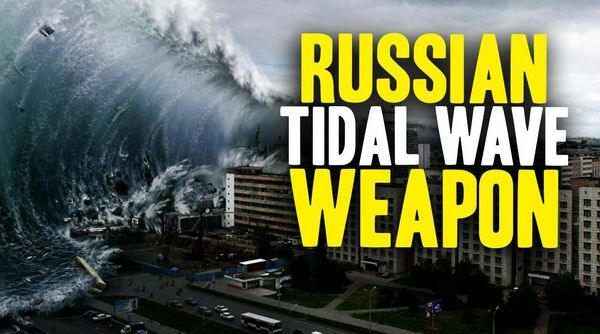 And whether they be for hidden North Korean subs or the Russians preparing nuclear tsunamis that could see an unstoppable wall of water crashing into the US coastline, triggering the biggest disaster we’ve ever seen while knocking out entire cities within seconds, we see more proof in these drills that preparation is taking place at the highest levels for ‘an event’ along our shorelines. We pray that what we’re witnessing are just smart, preventive actions being taken by our public servants in uniform.